The second part of our Strategic Dialogues series takes place in the Central Europe. The second event will be on 24 November 2017 at the EUROPEUM Institute for European Policy in Prague entitled: Conflict in Ukraine: Security Implications for the V4, the EU, and the Wider European Neighbourhood. The registration page for the event can be found here. Opening remarks will be provided by our director Richard Turcsányi. Ukraine is in many senses a test case for the current global security architecture. With Crimea annexed by Russia and a full-fledged conventional military conflict unfolding in the Donbas, the future of Ukraine’s contested sovereignty predetermines whether revisionism will reign over the world politics for the years to come. This round table seeks to shed a light on the security implications of the conflict in Ukraine for the V4, the EU, and the wider European neighbourhood. The discussion will also touch upon the shift in Ukraine’s security posture in the region and its strategic thinking, with a keen eye on how major international actors, including the V4 and the Czech Republic, have crafted policies in response to these events. What are the implications of the conflict in Ukraine on the security policies of the Visegrad Four countries? 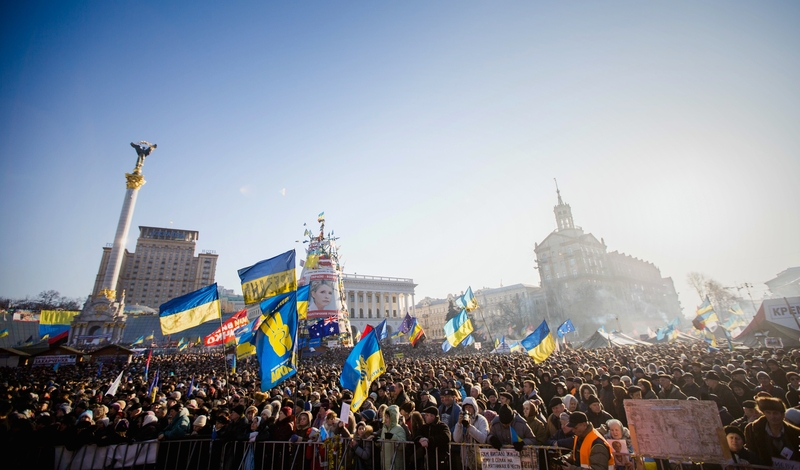 How does the public of Ukraine and Russia view the ongoing events between the two countries? What role do the V4 states perceive having in this new security configuration, both within NATO and the EU? What leverage does Russia have over Central Europe to legitimate its agenda, and how is it building up its influence in Central Europe through information warfare and propaganda? Is Ukraine effective in promoting its interests in the V4? What are the common denominators for Ukraine and the V4 in the security realm? Please keep in mind that due to limited capacity, registration is necessary. We kindly ask you to wait for the confirmation of your participation, which will be sent a few days prior to the event.